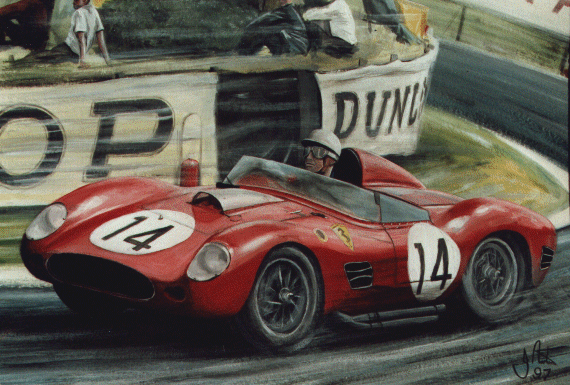 Phil Hill at the wjheel of the Ferrari 250 Testarossa he shared with Olivier Gendebien in the 1959 Le Mans. The original painting was sold before I acquired the facility to make prints. 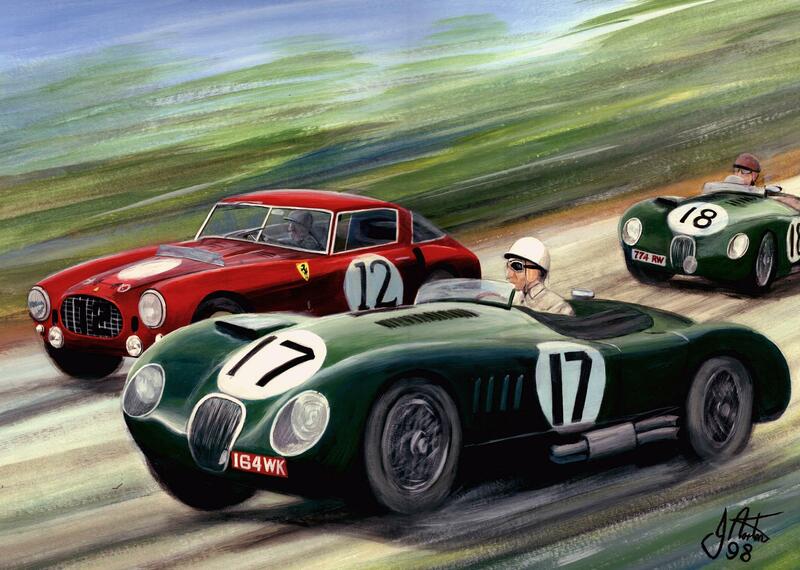 Stirling Moss in the C Type Jaguar leads the opening lap of the 1953 Le Mans ahead of Ascari's Ferrari 375MM. Moss and Peter Walker finished 2nd behind the sister car seen following. A Painting commissioned by the current owner, Bob West, of the famous MG works car, SRX 210 which competed in the 1956 Le Mans 24 hour race. reference for the car was from photos taken by the artist of the car in Bob's showroom married with pit detail from contemporary photos. Prints are not available of this work.